1. Do many of you put on winter tires in the Chicago area or do you manage with all seasons like I've done? 2. Do you have a set of dedicated wheels for winter also or do you swap tires on the same wheels? Is it bad for tires to often mount and dismount? 3. When do you generally put your winter tires on and then take them off? 4. Do you mark your tires for rotation purposes? How? 5. Do you keep track of the miles you put on each set? 1. managed with all-season fine in the first year/brand new tires when there was enough "meat" to bite in snow. completely useless on ice! 2. winter tires on same wheels (all-seasons had enough thread 8/32, but had cracks at 3 years old, so didn't feel safe). my first winter set on the Yaris. Chicago area was hit harder than us up here in southeastern Wisconsin this year. I've had winter tires on various vehicles for the past 20 years and it really gains confidence even on light snow days. 1. already answered... it's such a good investment in confidence, safety, peace of mind. 2. dedicated wheels make life so much easier. You (or a friend/relative) can swap out 4 wheels in about an hour. 3. It varies, but just keep an eye on ugly weather coming in October or November. My dad just removed his winter set last week. Hopefully we are in the clear! 4. I label my tires with a strip of painters tape and a Sharpie... "from LR, from RF, etc." then rotate accordingly. 5. I don't as most winter sets only accumulate 4-5k miles per season, but you can log it if you choose. Just do some shopping on Tire Rack for brands and models. Bridgestone Blizzak is a premier brand tire that most everyone loves, but there are cheaper alternatives that are nearly as good. My Dad has General Arctic Altimax on his Mazda 6 which work great. Last edited by BrewCityR; 03/29/18 09:46 AM. Now that I too have been driving for almost 50 years and even though vehicles are waaaay better in every way, I much prefer either winter tires or really good all season tire that are known for doing well in the snow & ice. I remember driving RWD cars with regular bias ply tires or snow tires ONLY in the rear. Snow tires back then left a lot to be desires. And we still got stuck with those old style snow tire of the 1970's and RWD. Always getting out of the car to push or help others push their cars. Not anymore for me, I want security! It seemed to be expected back then. Last edited by Char Baby; 03/29/18 10:24 AM. I have the same memories of pushing people out of snow as a kid even before I could drive. We enjoyed helping and felt good about. Of course there were a lot more kids in the neighborhoods back then and together we could easily push those big heavy cars out of the snow. I can't do that anymore. I live in the city and have snow tires. I've lived here for many years before that and had no issue with regular all seasons, but I do feel more confident with them. Similarly, my wife works odd hours occasionally, so the roads may not be cleaned yet when she's out. 2) Spare wheels. I watch Craigslist for OEM takeoffs, never paid more than $200 for a set of 4 16" alloys. If you have a somewhat common car, odds are good that manufacture has used the same bolt pattern, offset and hub bore for many vehicles. An additional benefit of a second set of wheels is that you can down size (say 18" or 17" down to 16") and get better ride over our winter pot holes while protecting your larger wheels. 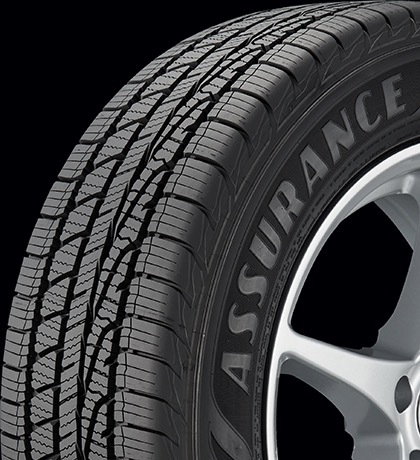 16" tires are usually less expensive than the low profile tires as well. I wouldn't worry about mounting and dismounting, for me, it was more for convenience, so I can swap the tires whenever I want, and I don't have to pay someone to dismount, mount, balance. TPMS sensors can add a wrinkle to that, but not a big deal either way. 3) Typically Thanksgiving, and approximately Easter for switch overs. 4) I number each wheel with a small sticker 1-4, then every switch over, I do the standard rotation. I don't rotate the tires any other time of the year. 5) Yes. I keep track in the same spreadsheet I use to track the tire locations. I don't really use the mileage data for much though, my tires are likely to age out before they wear out. With some of the new "All Weather" tires (the all seasons with the mountain snowflake rating), I've considered switching to those when it's time to replace tires. I still think there's value in having a second set of tires though. I would guess that even if the compound was great for ice, a worn All-Weather tire would still be no good in snow. No replacement for deep tread in some cases. From memory, there are the Nokian WRG3 and Toyo Celsius, but I recall Goodyear and others make them as well. Edit: Also FYI, I have Firestone Winterforce on my Honda Element and new General Altimax Arctic 12 on the Nissan LEAF. Both are low to mid range snow tires, but they're more than adequate. I have a dedicated winter car with winter tires for the past 4 years, so I don't have the changeover issue. I can't remember the last time I went slipping and sliding as in decades' past. I would seriously consider all-season tires. I have no experience, but looking at the treads I see lots of sipes which should be a tremendous help on winter roads. But I doubt they have the soft compound that winter tires have. Don't get anything studded-they're ILLEGAL in Illinois! I had my MGM up in Rockford a few weeks back, my Goodyear Tripletreds actually did OK in the 2-3 inch snowfall they had when I was up there. If you rarely encounter ice in Chicago, then an "all weather" tire (such as Nokian WR G4, etc) or a "performance winter" tire (such as Michelin Alpin, etc) will work well on snow, slush, and wet roads. If you desire better ice traction, then look at "ice & snow" tires, like the Blizzak WS80, Nokian R3, Michelin XIce Xi3, etc. Does Chicago even have a winter anymore? You mean if we saw white stuff on the ground or how long it took to melt the plowed pile? 10 years in Chicago, all seasons only with no issues. Only time I couldn't get out was Superbowl Sunday like 5 years ago when we got 2 ft in about 10 hrs.... that was more a ground clearance issue than tire issue. When I used to live there, I had winter tires for all our vehicles. Depending on which A/S tires you have specifically, you can get by on some of them, but driving on dedicated winter tires is just so much better. Dedicated wheels and tires for winter. This way I can swap them out in my own garage the night before the first snow storm. Typically around Thanksgiving, sometimes later - see answer to previous question. They come off some time in March, sometimes April if don't have time to swap them sooner. Yes. I normally put little stickers on them to mark which corner they were on last. Yes, but in my experience age is more critical than miles. I have a set of 8 year old winter Altimax Arctics that still have majority of their tread left, but they don't perform as well anymore, most likely due to soft winter rubber compounds hardening over time.